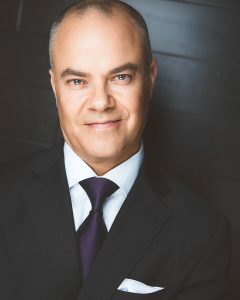 Bill Darcy is the Chief Executive Officer of the National Kitchen & Bath Association (NKBA), a forward-thinking trade organization serving the $150 billion kitchen and bath industry. It owns the premier trade event in this space, the annual Kitchen & Bath Industry Show (KBIS), and serves 14,000 member companies representing tens of thousands of employees. Bill joined NKBA in 2006 as Manager of Marketing Partnerships, and quickly rose through the ranks to Manager of Business Development, Senior Manager of Marketing, Director of Marketing, Executive Vice President, and ultimately was promoted to his current position as CEO. In 2014, to benefit tens of thousands of professionals across all sectors of home building, design and remodeling, Mr. Darcy orchestrated a collaboration between the NKBA and the National Association of Home Builders (NAHB), resulting in the creation of Design & Construction Week and the co-location of KBIS and NAHB’s International Builders Show (IBS). It is now one of the world’s largest, most comprehensive industry trade events. In 2016, Bill initiated a complete digital transformation of the NKBA’s legacy infrastructure, including administrative tools, a profile system, a mobile-first website, a knowledge base, an eCommerce portal, a support desk, payment processing, a dues collection system, an email workflow toolset, and a permission-based API, which enables the creation of additional applications and services, and will allow external developers to create apps that will benefit the NKBA. This technology, based upon Bill’s vision, will empower members to be more competitive in an increasingly online world. Mr. Darcy has pioneered several industry and cross-industry initiatives. To stem the industry-wide shortage in craftsmen and skilled labor, Bill created the NKBA’s #NextUp initiative, which seeks to support education and build interest in the skilled trades. He also established the NKBA’s 30 Under 30 program and initiative focused on millennials that began in 2013. Mr. Darcy also sits on the Operating Committee of the Skilled Labor Fund. Through these initiatives, as well as significant investments in market and industry research, working with volunteer leadership to restructure the governance of the NKBA, improvements to the design certification process, and leading the NKBA membership, Bill has redefined what it means to be a trade association. In the process, he has positioned the NKBA as a peer to the strongest, nationally recognized trade groups. Prior to the NKBA, Bill spent seven years with International Speedway Corp. (ISC), sister company to NASCAR, where he managed a staff that oversaw more than 50 multi-venue sponsors with contracts totaling more than $200 million. Bill holds a B.A. in management from Moravian College. He is a proud husband and father of three boys. Suzie Williford has more than 25 years experience in business development and sales in the kitchen and bath space. 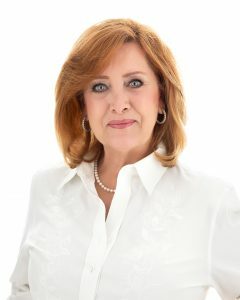 Suzie’s extensive track record includes positions as Vice President of Sales for two kitchen and bath companies, the most recent of which had multiple locations serving both the trade and consumer market. She has diverse knowledge of all kitchen & bath product categories, as well as our industry’s distribution and supply chain. Her comprehensive knowledge of the association model and governance stems from 10 years of service on the NKBA Board of Directors, including her role as 2009 NKBA President. Since joining the NKBA in 2012, she oversees the Marketplace (which includes the Kitchen & Bath Industry Show, KBIS, founding partner of Design & Construction Week), Governance and Leadership Communications sectors, where she plays a key role in volunteer communications and relations. She is also responsible for establishing domestic and international industry relationships in order expand the reach of NKBA as a brand in North America and abroad.